Δ We put so much love into these leggings! Honeycomb design created and silk screened by hand by Grizzy using glow in the dark inks. They were delicately cut & braided by Cutty Creations designer, Kate Rose from Eugene, OR. 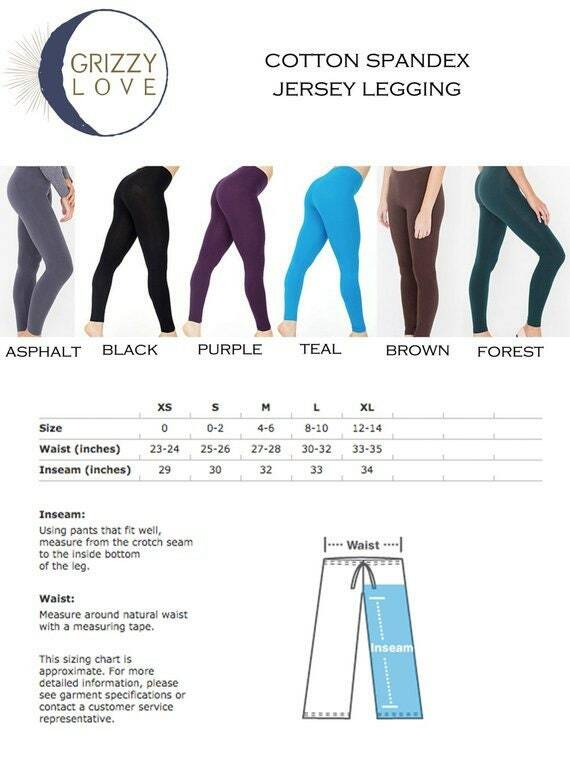 Wide Waist band cotton spandex Jersey Leggings (95% Cotton / 5% Elastane construction, refer to last 4 photos to see the wide waist band). great for yoga, dance, lounging, and festies! 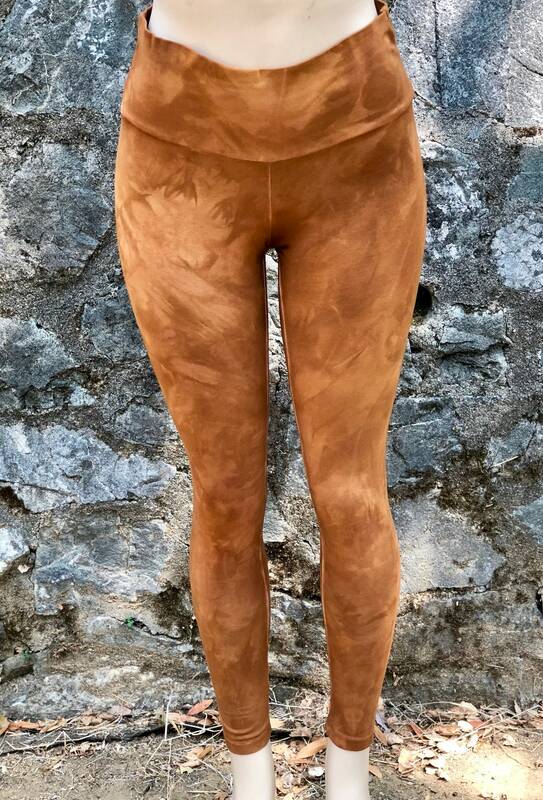 Δ STYLE NOTE: Try wearing colorful hosiery underneath the leggings for a unique layered look! Δ Cutty "PIXIE" Design runs down the sides of both legs & Cosmic Honeycomb glow in the dark pattern runs throughout the leggings. Δ Available in XS*, SMALL, MEDIUM, LARGE and XL. *Note: XSmall not available in the Wide waist legging. Refer to last image for size chart and measurements. 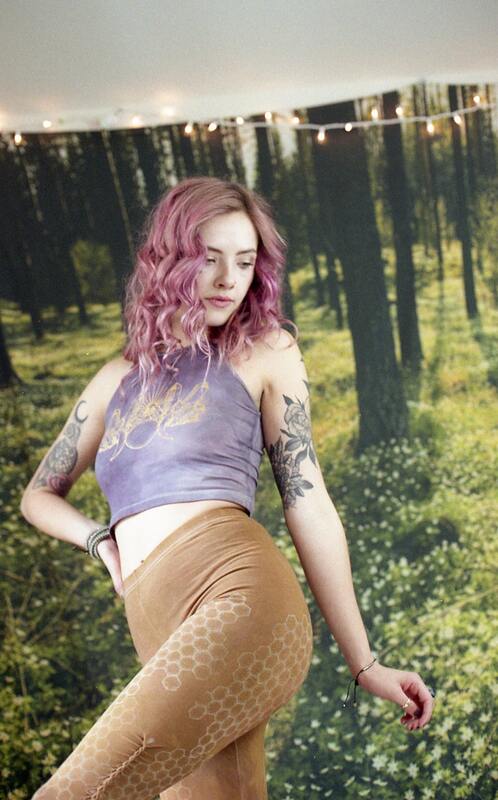 ↠Regular waist band dyed CAMEL legging (hand dyed by us) with GLOW IN THE DARK cosmic honeycomb print (shown on model in images). ↠Regular waist band Black legging with GLOW IN THE DARK cosmic honeycomb print. ↠WIDE waist band dyed CAMEL legging (hand dyed by us) with GLOW IN THE DARK cosmic honeycomb print. ↠WIDE waist band Black legging with GLOW IN THE DARK cosmic honeycomb print. WE LOVE TO CREATE FOR YOU!